If you’re heading to Australia, you’ll want to take the most stunning photos to show family and friends back home. From pink lakes to acres of untouched 540 million-year-old landscapes, these are the kinds of must-see regions that you’ll want to remember for a lifetime! There are quite a few of these lakes, and all of them make for stunning images! Lake Macdonnel in Eyre Peninsula, for instance, offers a stunning bubblegum shade, drawing visitors from across the world to see this phenomenon. Lake Bumbunga in Clare Valley has been known to change colours from pink to white and blue, depending on the salinity of the water throughout the year. Meanwhile, Lake Eyre in the Outback gives travellers that true sense of remoteness with the lake’s smooth, calm waters. The large body of water—144 kilometres long and 77km wide—appears to continue on forever, so you virtually see nothing else beyond the lake. If adventure travel is in the plans, it’s recommended to self-drive through South Australia’s vast outback as you’ll get breathtaking photos! William Creek is one of Australia’s most remote towns; the isolated location gives visitors access to pastoral properties and indigenous communities. Nullarbor is for the traveller looking for that true desolate Australian beauty; coastal peaks, rippling sand dunes, bluebush, saltbush and wildflowers. Flinders Ranges is a place to see abundant wildlife and rugged, dramatic mountain ranges and gorges. Best to spend the day exploring the outback and relax in the evening with a glass of vino to stunning deep-red sunsets. Stargazing is spectacular too! Who doesn’t love tasting authentic cuisine when travelling? There is much to sip, taste and say “mmm” about in South Australia! Take a tour of Adelaide’s central market, which have been the focus of the food and cultural lifestyle of the locals and guests alike since 1869. Take a walking tour of the market and sample fruit, coffee, fresh oysters, gourmet cheeses and more! Then enjoy Barossa Valley wine trails—with more than 150 wineries to visit, the trails are a great way to taste the internationally recognized wine producing region. Barossa’s climate is cool in the summer and rainy during the winter, making the region an ideal climate for wine production. In addition to being a much-loved wine region, you’ll also find quaint five-star retreats, locally-produced gourmet delights and family-run restaurants. Lastly, oyster shucking, in locations such as Eyre Peninsula’s Seafood Trail, are a great way to learn how to learn how to both harvest fresh oysters as well as offering cooking classes for travellers in the region. 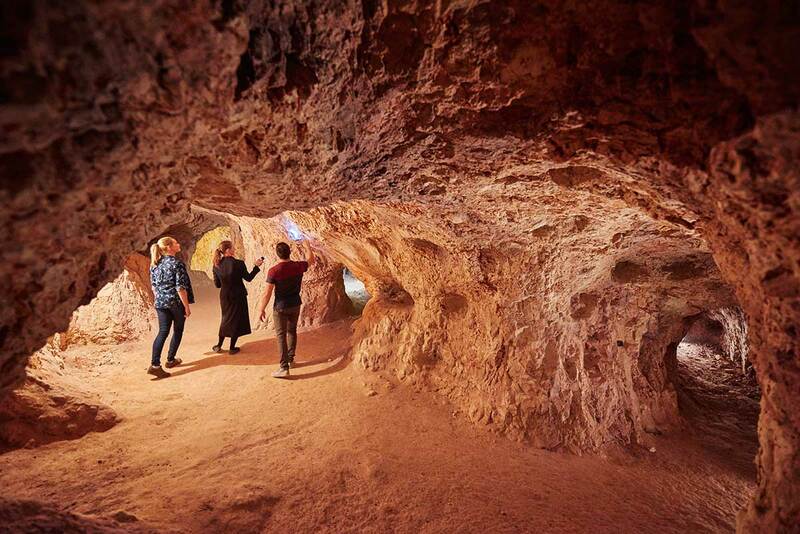 Convinced that South Australia should be your next destination? Check out more awesome trips from the region here.